The loudest output. The highest quality. 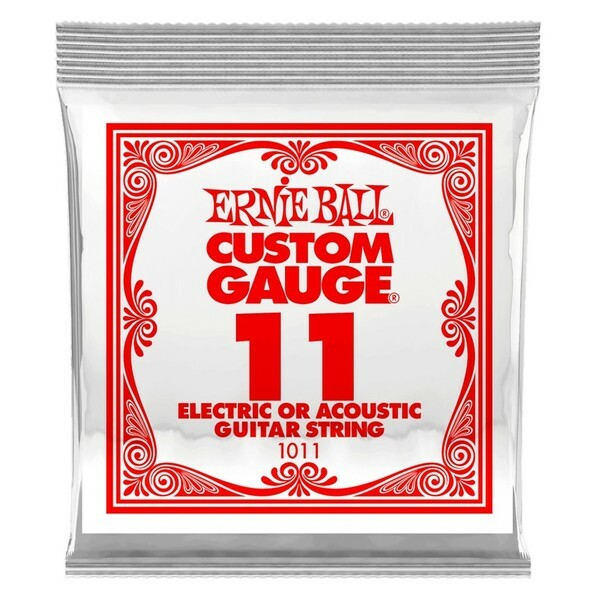 You can rely on the Ernie Ball Single .011 Plain Steel String. Crafted using specially tempered tin-plated high carbon steel, it's the ideal string for your electric or acoustic guitar to deliver your notes with clarity, definition, and maximum volume. The material is super-strong, too. This means the string is less likely to break, minimising the need for annoying restringing of your guitar. By putting Ernie Ball strings on your guitar, you're using the very best in the business. Paul McCartney, Keith Richard, Jimmy Page, Pete Townsend, and a long list of even more music legends use these strings. Give your guitar the best.